In December I wrote a three part series about finding your purpose (part 2, part 3). My journey ended with a strong purpose statement and a purpose destination. Bend, Oregon. 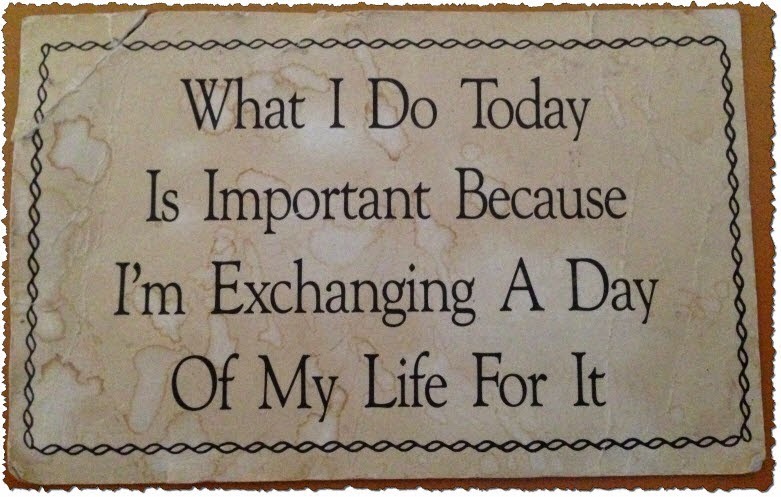 I was reminded during my Soul Cycle class this morning about the power of purpose (thanks, Andrew Stinger – you rock!). Not only does Andrew inspire with his story about beating some incredible odds to walk again. He also quit a job at Google to become a Soul Cycle instructor and joined the non-profit organization, watsi, funding healthcare for people around the world. That’s purpose! The decision to move my family and career to Bend was not simple. I turned down a promotion and am leaving what many refer to as the mecca of career opportunities – the San Francisco Bay Area. Some have looked at me puzzled, asking the question, “What about your career?” My career is just fine. Opportunities on the horizon include: actually taking some months off to transition my family after the move (insert fist pump), starting a consulting gig, working for one of the many Bend startups (creating order out of chaos) or commuting to a new role outside of Bend. A little bit of Newcomer history… while Todd and I were dating, we spent quite a few winter moments snuggled up in Sunriver Resort. Todd eventually proposed to me on New Year’s Eve 1999 (millennial!) and we were married at the Great Hall in Sunriver on May 26, 2001. We subsequently have gone back almost twice a year – to celebrate Thanksgiving and to compete in the annual Pacific Crest Sports Festival (Olympic Triathlon is our favorite). Todd and I had always planned to retire in the Bend, Oregon area and decided why wait! We will move our family in July 2016. We will miss the Woodside community. This town welcomed us warmly from the beginning and our girls have flourished at Woodside Elementary. Thank you and come visit us in God’s country! River Lodges – newer and more space to spread out with a deck and views of the Cascade Mountains and the Deschutes River. Todd and I stayed in the suite for our honeymoon. Vacation Rentals – these are beautiful homes for rent that range from cute and cozy to simply luxurious, sleeping from 6 to 14. Todd and I rent a luxury home when we celebrate Thanksgiving every year with our family. Bennington Properties – the way to stay at Sunriver is to rent a house. Bennington is a pet and family friendly business that has never steered us wrong. They have beautiful homes, most with hot tubs (our favorite must have for winter soaking in the snow) and appropriately stocked kitchens for Thanksgiving cooking (dishes, utensils and double ovens). We have some favorite homes – just ask us. The Crosswater Grille – This is a great place for a more formal family dinner. The food is fresh Northwest style with seafood and free range animals. Todd and I have had many anniversary dinners here. Marcello’s Cucina Italiana – We recently discovered this gem. Great Italian food. Won’t disappoint. Sunriver Brewing Company – A great place to wind down after a day on the mountain or the sunny trails. Tasty craft beers and a great atmosphere. Hot Lava Baking & Coffee Co. – Great cup of coffee and the best cinnamon rolls. Also great if you need a special occasion cake or cupcakes. We recommend you rent a car. Choose any of the national rental car companies that are at the Redmond/Bend airport or Portland airport (if you want to enjoy an easy and beautiful 3.5 hour drive to Sunriver). 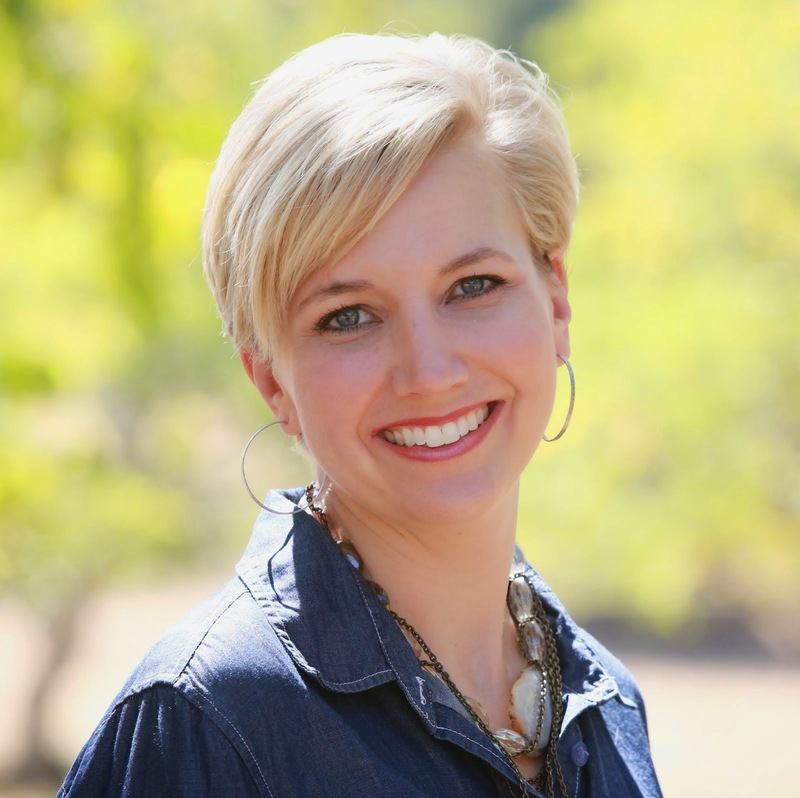 Babysitters on Call – Bend, Oregon. Around for over 17 years. Mt. Bachelor ski resort: Boasting 88 total runs, 3,683 acres of skiable area, a base elevation of 5,700 ft and a top elevation of 9,065, sun and dry powder skiing abound. A new 10-year Master Development Plan was approved by the USFS in 2013. Approved projects include Summer Downhill Mountain Bike Park, Zip Line, eastside quad lift and trails, replacement of Rainbow and Sunrise lifts, new/larger Sunrise Lodge & expanded Sunrise parking, Alpine Race Training Center at West Village and West Village Lodge renovation/expansion. Sunriver has a Mt. Bachelor ski shuttle. Wanderlust Winter Tours: Moonlight snowshoeing is one of our favorites. Serene, beautiful and an insular quiet in the snowy mountain. Wanderlust also has other fun tours to include: Bend Brew Bus, Lava Tube Cave Tours, Deschutes River Canoe Tours and a Coffee Tour. Sage Springs Club Spa @ Sunriver Resort: I’ve been here for Swedish massages, maternity massages and pedicure treatments. Never disappointing. Always relaxing. I also love the lavender steam room and the hot tub room that mimics the starry Central Oregon sky. Sharc Aquatic & Recreation Center: Aside from sunbathing and water play activities, SHARC's 22-acres of fun includes a tot pool and sand play area, cafe, picnic area, playground, basketball court, bocce ball court, year-round tubing hill, picnic pavilion and an outdoor amphitheater. We have spent a lot of fun winter days on the tubing hill. The indoor water park area is perfect for little ones to burn off steam. Perfect for all ages. Pacific Crest Triathlon & Sports Festival: Pacific Crest is known as the jewel of multisport events in the Northwest and it has become a traditional destination race for athletes from across the nation, as well as from across the globe. Coupled with finishing in a five star destination resort, it is the perfect family vacation destination. Pacific Crest events begin Friday morning, with the competition and fun continuing into Sunday afternoon. The full, fun weekend includes Tour de Crest Bike Tours, Long Course, Olympic & Ultra-Sprint Triathlons, Duathlons & AquaBike, Marathon, Half-Marathon, 10k, 5k and three kids’ events – truly something for everyone! Todd and I have competed in the Olympic triathlon distance with the Leukemia and Lymphoma Society Team in Training for 3 years. Whitewater Rafting with Sun Country Tours: Todd and I took our family on a fun trip down the Deschutes River on our honeymoon. Crater Lake National Park: A two hour, 115 mile drive south is well worth it. The fifth oldest national park in the United States and the only national park in Oregon. The lake is 1,943 feet (592m) deep at its deepest point, which makes it the deepest lake in the United States, the second deepest in North America and the ninth deepest in the world. A natural wonder of the world, Crater Lake has inspired people for thousands of years. No place else on earth combines a deep, pure lake, so blue in color; sheer surrounding cliffs, almost two thousand feet high; two picturesque islands; and a violent volcanic past. It is a place of immeasurable beauty, and an outstanding outdoor laboratory and classroom. Sharc Aquatic & Recreation Center: Aside from sunbathing and water play activities, SHARC's 22-acres of fun includes a tot pool and sand play area, cafe, picnic area, playground, basketball court, bocce ball court, year-round tubing hill, picnic pavilion and an outdoor amphitheater. We have spent a lot of fun summer days in water play and on the tubing hill. Perfect for all ages. Sunriver Golf: Named one of the top 10 destinations for family golf by Golf digest, January 2016. Four courses – Crosswater, Woodlands, Meadows and Caldera Links. Caldera Links has golf boards instead of golf carts (all the rage). Each of Sunriver Resort's four golf courses was designed by an acclaimed architect. Crosswater, a recipient of a host of national golf awards, was designed by Bob Cupp. Meadows, one of Oregon's most unique golf courses, was designed by John Fought. Robert Trent Jones Jr. was the mastermind behind The Woodlands, regarded by many as Oregon's finest championship golf course. Caldera Links, another Bob Cupp design, is a family-friendly nine-hole course that makes the game of golf approachable for all skill levels. Graced with carefully preserved wetlands, forested meadows, and sparkling waters, Sunriver Resort offers 63 holes of the best golf in the West. Wanderlust Summer Tours: Another line up of fun, fun, fun combined with breathtaking views. Choose from Bend Brew Bus, Cascade Lakes canoeing or kayak tours, Deschutes River tours, Moonlight & Starlight canoe tours, Lava Tube Cave Tours, Volcano tours and Coffee Tours. Cog Wild Mountain Bike Tours: Half day, one day and up to 6 day tours. Enough said! Sunriver Resort Ropes Course: A half day challenge. Sunriver Stables: Trail rides, pony rides and horseback riding. 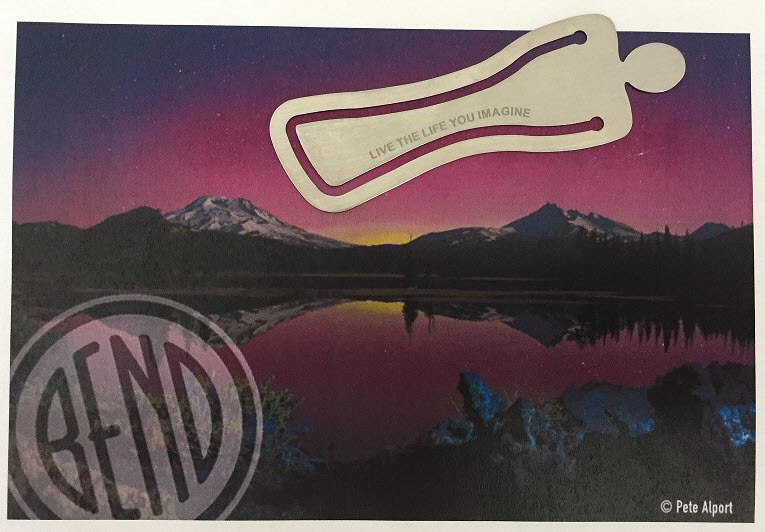 Sunriver Resort Marina: floats, kayaks, stand up paddle boards. The Cove at Sunriver Resort: the brand-new pool complex for lodge guests. At The Cove you will find a giant zero-entry pool and hot tub, private cabanas, a waterslide, nature discovery area, lakeside trails and a spacious deck and lawn. Nature Center and Oregon Observatory: The Sunriver Nature Center & Oregon Observatory offer education and insight into the world that surrounds the Sunriver Area. Visitors can learn about native plants and animal species through educational programs and interpretive exhibits. Rock Climbing: guided rock climbing trips to Smith Rock State Park. Mt. Bachelor Disc Golf: Mt. Bachelor's Disc Golf course is a PDGA listed course. Ride the Pine Marten chair up to hole #1 and work your way down the mountain to the final hole #18. Elevation and the varied terrain add extra elements to your game! I don’t typically like business books. Primarily because they talk about what worked but not what didn’t work. When you screw up, you learn. Ben Horowitz gives us the brutally honest truth. He unpacks lessons learned after screwing up in one of the best business books I’ve read: The Hard Thing About Hard Things. 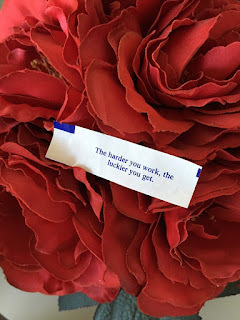 My last blog, The Hard Thing, focused on my five favorite themes from the book. Hat tip to Ben, I wanted to bring to life my own personal screw ups and subsequent applications to those five themes. There is no secret to being a successful CEO (or any other executive position). However, one skill is critical: focus and make the best move when there are no good moves. Spend zero time on what you could have done, and devote all of your time on what you might do. Listen. Don’t give direction. That is your management team’s job. Listen and ask more questions. What you learn will enable you to pull themes (strengths, opportunities and all out fires) for you to address with your leadership team. Decide with command and control. This next step makes or breaks organizations. You are the leader. Make a decision. So many leaders are afraid to take command and control. If you accomplish steps one and two, command and control is not a threat. It is welcomed and develops a strong culture and loyal team. Take care of the People, the Products and the Profits – in that order. Things always go wrong and the only thing that keeps an employee at a company? She likes her job. Tia’s application: There are six fundamental needs that people have in common, and all behavior is simply an attempt to meet those six needs. The secret to taking care of people is to know which need they prioritize and coach and develop to that need (which can, and will, change). I had two strong direct reports. One was motivated by title and pay (Significance), the other by span of control and influence (Growth). When I restructured the team roles & responsibilities, I had to address each of these in a different way while doing what was right for the company. Not always easy. Hire for the role you need now. Not the one for tomorrow. Your team is watching. As a leader, your credibility rests on the new hires you bring into the organization. I lost credibility with my new team and peers. I only salvaged it because I admitted my mistake and quickly moved to moving the person out of the organization. Trust your instinct. Your gut is 99% right. Training is the most important investment for employee retention and scaling a business successfully. Tia’s application: How do you address productivity, performance management, product quality and employee retention? One word, onboarding plan. Never underestimate the power of this document that should take you ~4 hours to complete. Well worth the upfront investment and will deliver 100 times return when you have a fully operational new hire in 90 days or less. When I came to CBR 3 years ago, CEO Geoff Crouse gave me a 5 page onboarding document. That document led me to be productive and operating at full capacity in less than 45 days. Organizational Background: The hiring manager should be able to articulate, in detail, the state of the organization, personnel strengths & opportunities, the business strategy and execution priorities. Priorities: This is a critical section that will directly apply to performance management. Simply put, if you don’t know what success looks like, you can’t deliver it. I use this section to detail the 3 to 5 critical execution priorities I will hold the new hire accountable for. 100% of the time these priorities have become how I measure performance of a new hire in weekly 1:1s, mid-year and annual reviews. Goals & Objectives: This is defining what success looks for the priorities you just detailed. Measurable and time bound. Onboarding Objectives: In the first 30/60/90 days, what are the objectives you want your new hire to focus on? This is your opportunity to ensure your new hire contributes and establishes credibility immediately. Everyone is watching. It’s on you to make sure the company sees why you selected this candidate. Materials: Define and give access (I like google docs) to the most critical background documents you need this new hire to read and absorb. This is the best time to load people with reading materials. They are excited and have no baggage. This portion will be critical when you start your daily onboarding 1:1s (see bullet vii, 1 below). This material gives your new hire the ammunition to ask you good questions. Overall Approach to Onboarding: This section sets the tone for the first 30 days. It’s the compass for the new hire and outlines expectations for the first 30 days. From my experience, this is a lot better than showing up for the first day of work with the dreaded “meet with HR and set up your computer/desk area.” Your job is to set the productivity and accountability tone from day one. 1:1 Meeting Schedule: An outline of critical topics to discuss with identified cross-functional leaders and peers plus direct reports. These meetings are scheduled by the new hire. Again, your job is to give this new hire an opportunity to build instant rapport and credibility. No better way to do this than to get them asking questions 1:1. One of the most critical meetings to set up your new hire for success is 30 days of daily 1:1s with you, their direct manager. Yes, 20 days of daily 1:1s. The first 30/60/90 days is the most valuable time for any new hire (including you!). You have no baggage. You are full of new ideas. Desire and intent are high. If you follow this onboarding plan detail, your new hire will be drinking from a fire hose. Giving them the daily opportunity to ask questions and privately share observations will lead to quick productivity. In my experience, the first two weeks are spent primarily answering questions. The last two weeks are listening to your new hire structure a plan forward based on initial observations. Baggage free. This also give you an opportunity to identify issues with the new hire quickly so you can coach or move to separation quickly. Recurring Meetings: An outline of weekly recurring meetings that you expect the new hire to attend and contribute. Including the objective is imperative. This gives your new hire instant accountability and line of site to where he/she will make contributions. Tia’s application: If you’re not asking questions, you’re not listening. If you’re not listening, you aren’t addressing issues and opportunities in your organization. Early in my career, I lost the discipline of regular 1:1s with my team. The outcome? I spent more time chasing down answers and putting out fires. I also did a disservice to my team as I wasn’t developing them professionally. 1:1s are the easiest tool to develop teams. Don’t underestimate the power of these weekly, sometimes daily (yes, daily 1:1s are achievable and valuable!) opportunities to ask questions, listen and guide your team. In closing, I have a pet peeve/red flag when interviewing candidates for roles on my team. When I ask how you manage a team and the answer is, “I don’t like to micromanage.” My response? Why not? Two synonyms of ‘micromanage’ is intervene (synonym: mediate/arbitrate) and control (synonym: regulator/governor). It’s your business. You better be intervening and controlling. 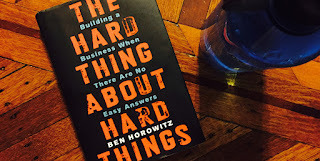 I just finished one of the best business books I’ve read: The Hard Thing About Hard Things by Ben Horowitz. A brutally honest, laugh out loud, quick witted and easy read about what to do after you’ve screwed up. Ben is a successful startup CEO as measured by the sale of his company, Opsware, to HP in July 2007. Yes, a Cinderella story. But what Ben brings to life is the battle scars and wounds that he earned when his company was worth less than a $1/share. He clawed his way to that $1.6B deal. While I’ve never founded a company or been a CEO, Ben’s points in the book are for leaders with an entrepreneurial style. Leader’s that want to scale a business. Leader’s with a tough skin. Leader’s that stand firm when everyone else is running away. My next blog series will focus on my five favorite tips and tricks from Ben’s book with my own spin. I’ll bring to life personal learnings and approaches that have worked for me. Productivity – a simple equation of training efforts in hours (time in) compared to the number of employees trained x hours worked x 1% improvement. Hint: it’s a big number. Performance Management – No training? No basis for performance management. Product Quality – No rigor in training leads to inconsistencies in product. A lot more expensive than upfront training. They weren’t learning anything. Employees need to develop new skills. What’s the number-one problem with our organization? Why? I look forward to expanding on each of these over the next 5 blog posts.